BMT in partnership with ASV Global (ASV) is leading a new £1.2million research project to enhance the safety and reliability of autonomous navigation. The project team will use deep learning machine vision systems trained with a unique combination of simulated and real-world data. Part funded by Innovate UK, the UK’s innovation agency, this project will enhance situational awareness enabling the USV to operate in extreme and congested marine environments. The Synthetic Imagery training for Machine Vision in Extreme Environments (SIMVEE) project will build upon ASV’s existing, COLREG cognisant, autonomous collision avoidance and path planning capability. The project will use BMT’s REMBRANDT simulator to train and validate ASV Global’s vision algorithms to detect and classify objects at sea. 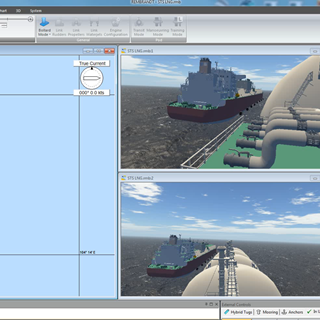 A key project output will be improved situational awareness for both the autonomy onboard and the remote human supervisor. The unique combination of real world and simulated data to train deep learning algorithms will improve the reliability of the existing system extending safe operations into complex environments with a wide range of objects to detect, classify and avoid.